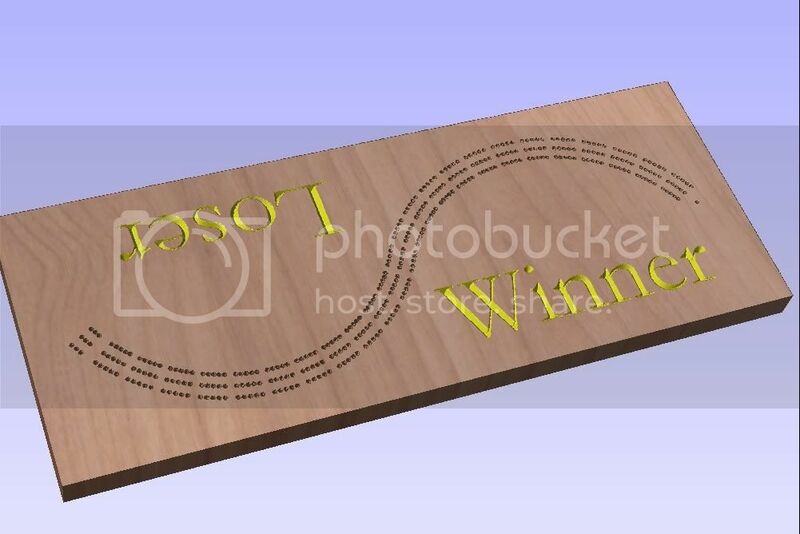 I posted a cribbage board in another thread, and then gave a short description how I make them in 10 mins. 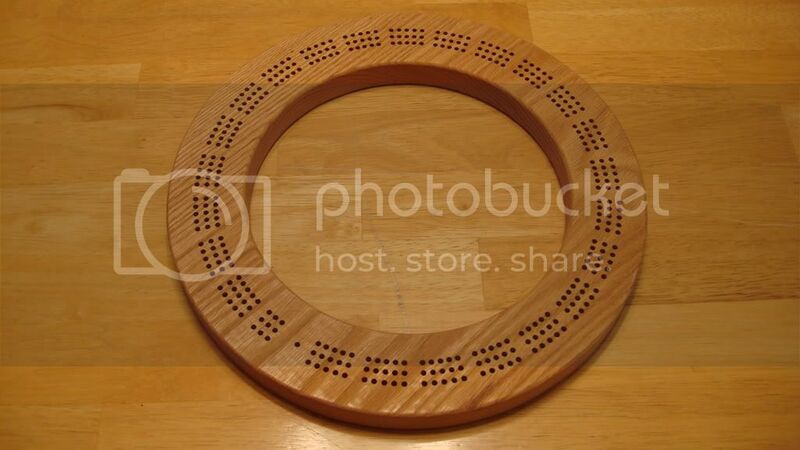 So I thought I would start I thread with "cribbage" in the name. Just in case someone might have missed it. I have no problem sharing these files. If you want one just ask. 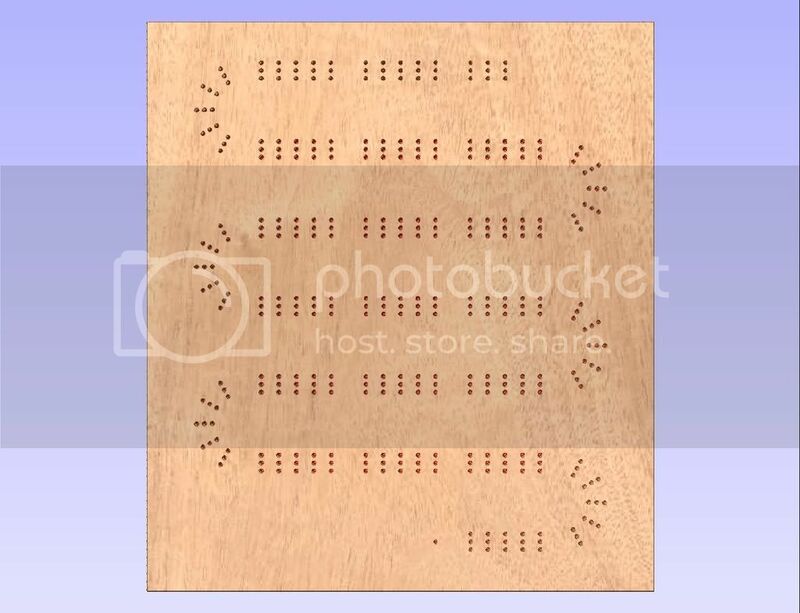 I also have a file that makes pin storage in the bottom of the boards. Here are a few that I've done. 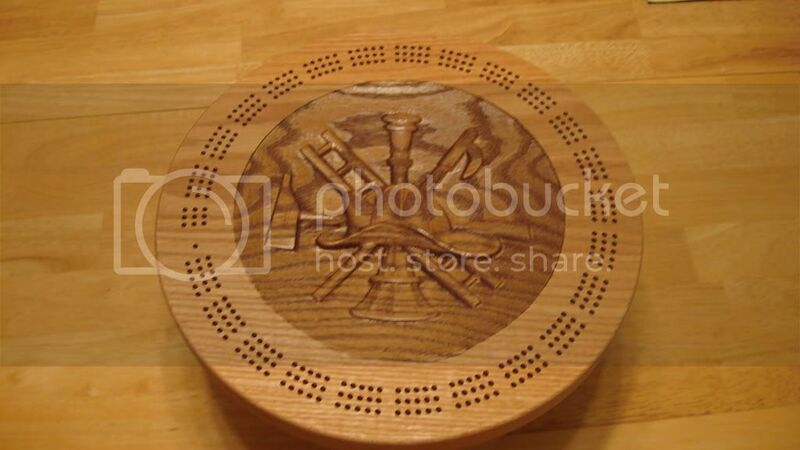 Cribbage boards are all beautiful. I would like to have files on Boards 9 and 10. Can you share your methods for the peg storage? or are all the pins the same size???? 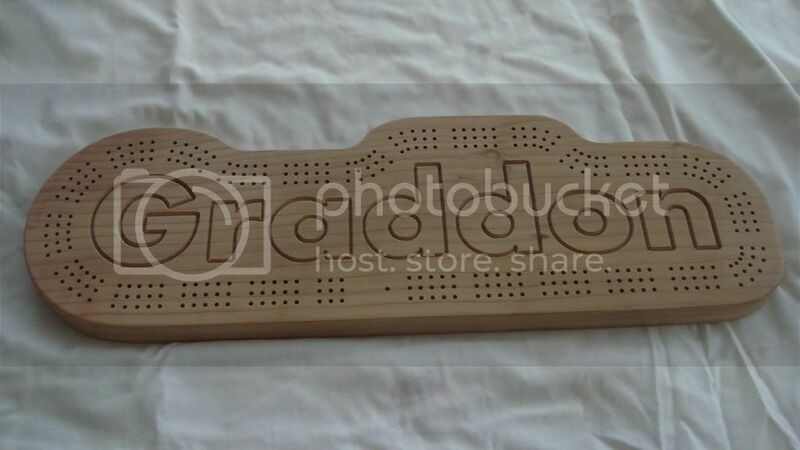 Pin storage is on the bottom of the board. 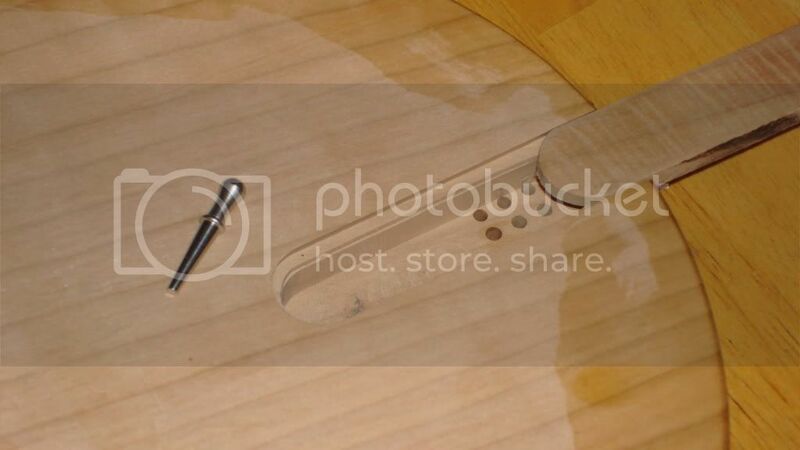 I use a 0.5" plunge bit to make a pocket then switch to a 14 degree dovetail bit and go around that pocket just a bit wider and all the way out of the board. Then I make a door out of 0.125" stock with 14 degree sides and round the end on my disc sander. The door fit has to be right on, to loose it falls out and to tight it is hard to open. I've been drilling and putting a small dowel in the inside side of the door so the door cann't slide all the way off the board. 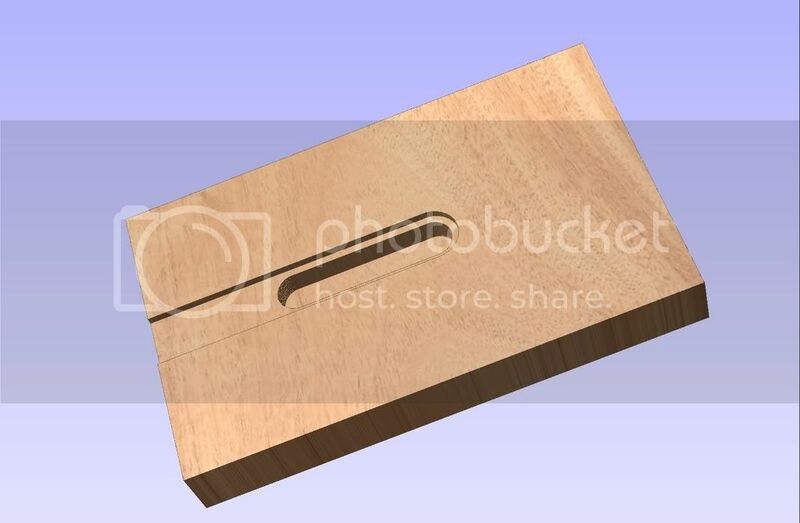 Here are the files asked for with the pin storage file, I never made a dovetail bit in my tool data base so what ever the file calls for I just use a dove tail bit. You might want to redo the tool paths for your machine and feed speeds. Nice storage idea, very clever!! I would like to try to run a couple of these, that first design is outstanding! I'll pm you my e-mail, thanks! 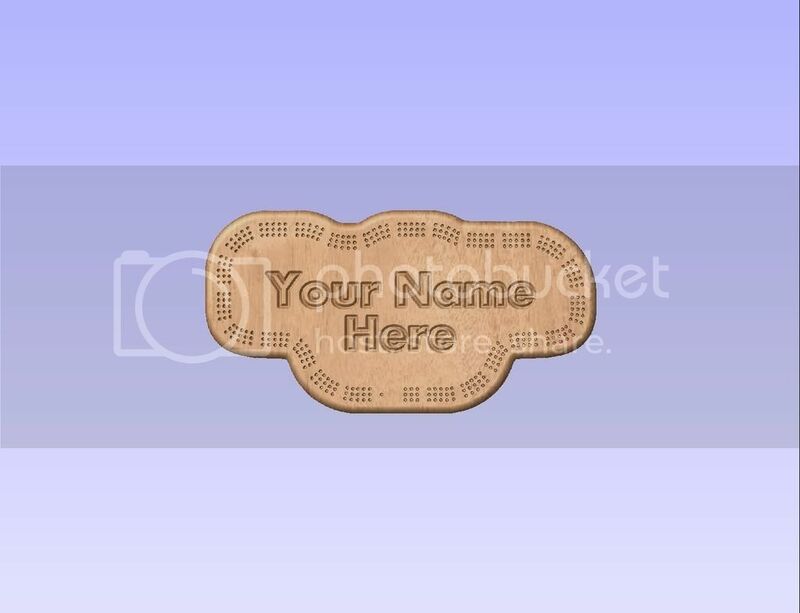 For those that downloaded the pin storage file be sure to check the depth of cut, I forgot that was for a thicker board. Just thought that would share todays events. 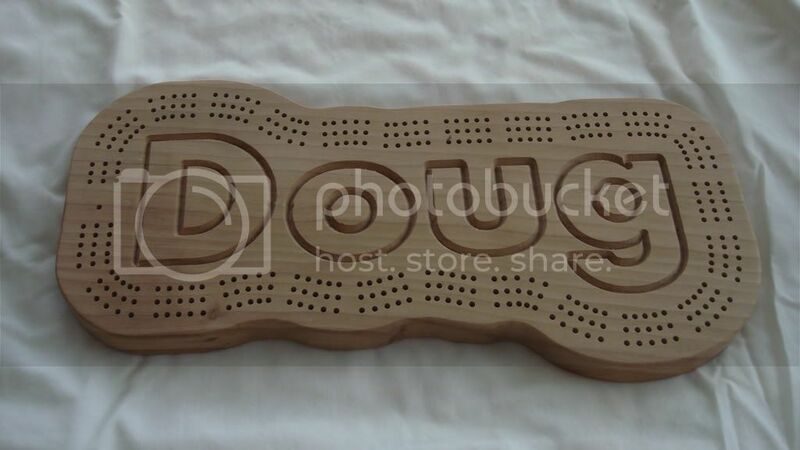 Went out to the shop today to make another Cribbage Board for a friend. Found some red oak large enough to make a round board. Got it mounted. Threw a bit in the router for a roughing pass, hit the start and went over to my lathe to finish a project. Roughing pass finished, switched bits for the finishing pass hit start and went to lunch. Got back after lunch to find my finishing pass had not got cut deep enough the roughing pass was 0.2" deeper in places. Scratched my head for while trying to figure out what had happend. After a closer look at the "tool path" and the "bit used" the two didn't match up. 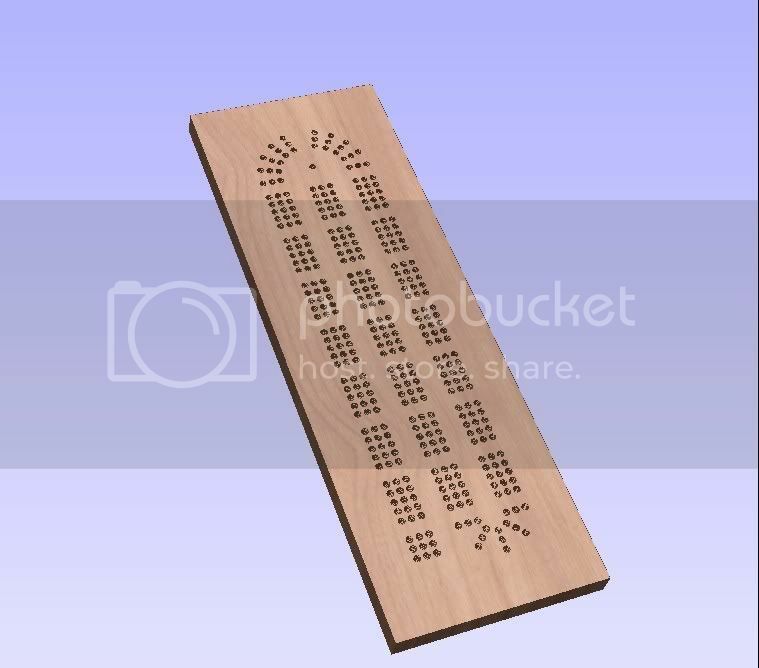 So the moral of the story, Don't use a 0.25" end mill when the tool path calls for a 0.25" ball nose or your crib board will end up looking like this. 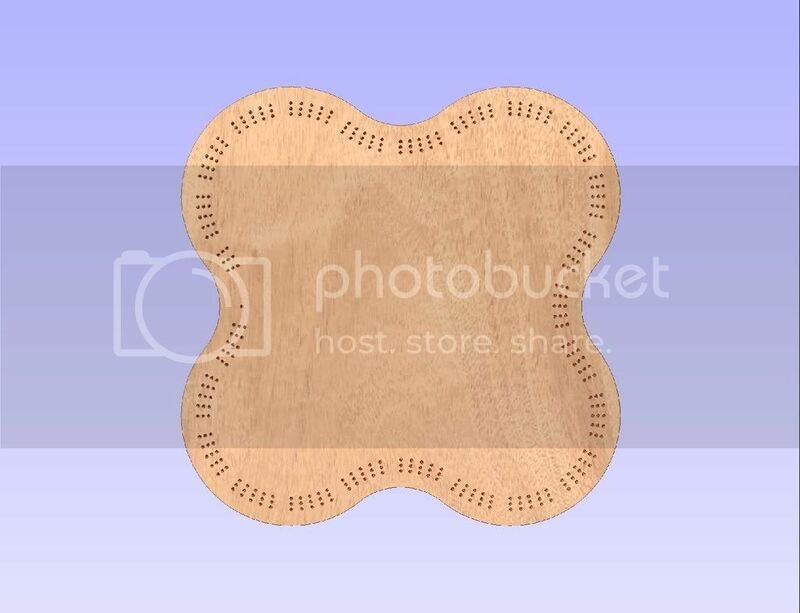 The only thing I could think to do was to cut the center out and make a ring board. 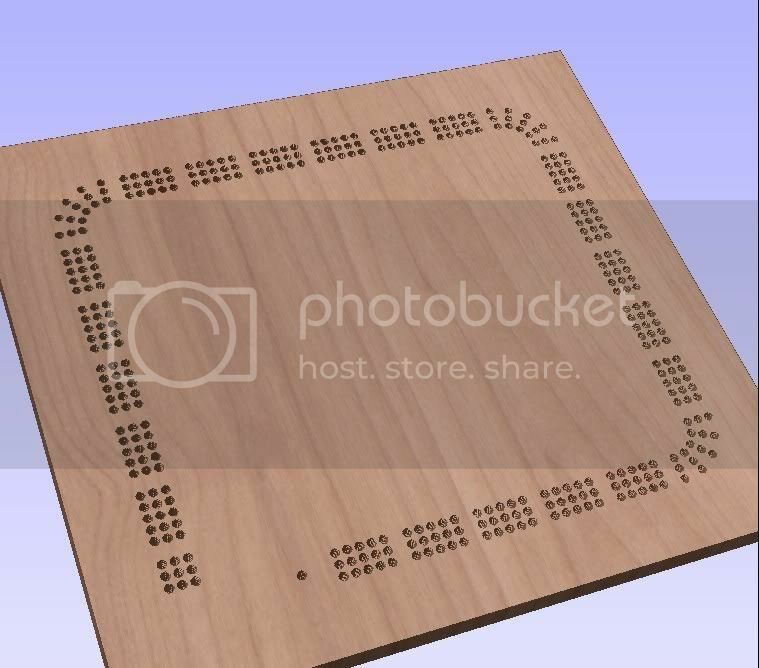 Then with the right bit in the router I got the board I planned to make. Just thought I'd share, I know we all have days like this but no one ever hears about them. Some time those days turn out better than planned..
What are the dimensions of your boards? I like the deer scene and the fireman's logo best. 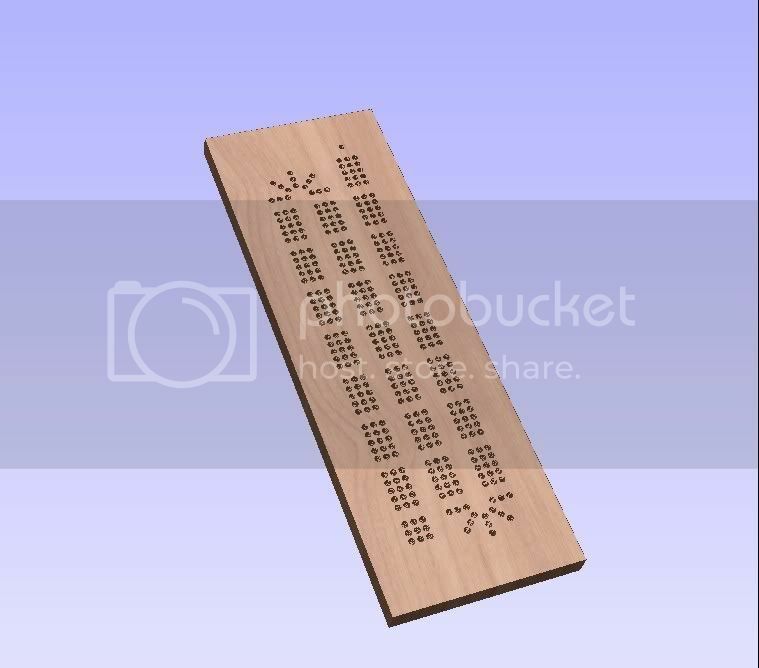 What are the dimensions of those two boards? 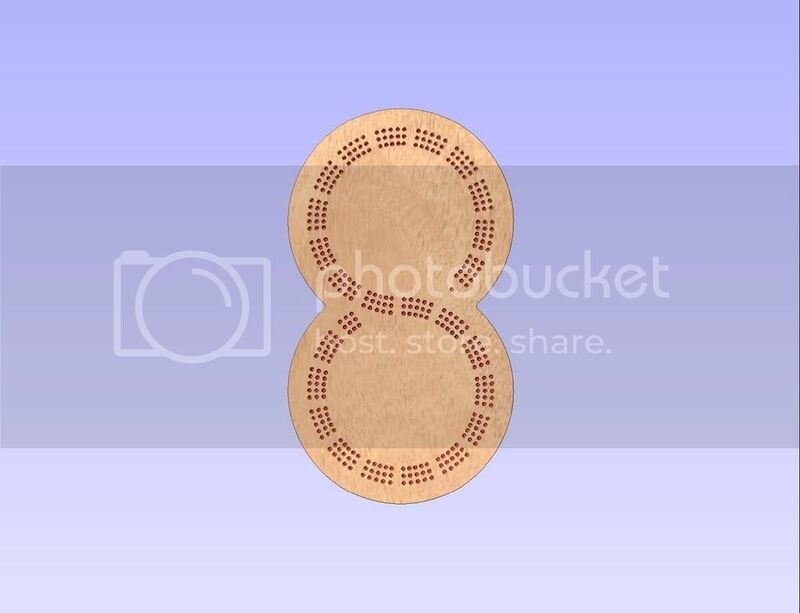 On the round board the center is 8" the holes are centered 10" and out side is 12" acrossed. 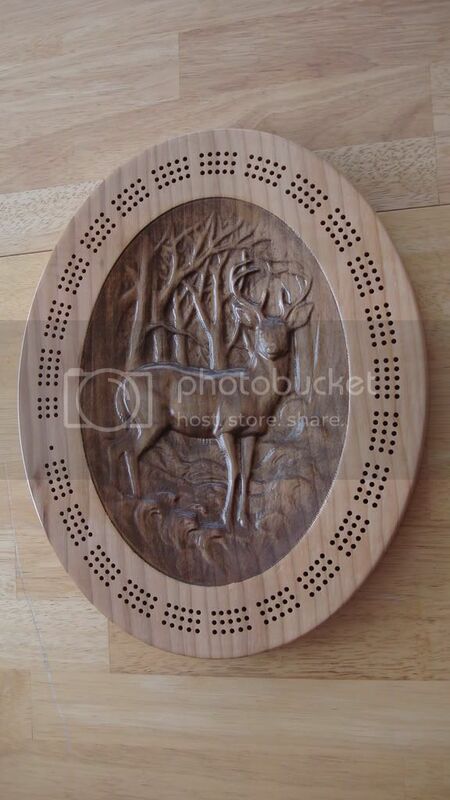 Not specific to the cribbage board (which is beautiful btw) but how to do you finish the carving to get the dark areas that accent the carving? Sand and seal with sanding then some stain process? regular stain, gel stain? Sealed with poly, laquer? I just can't get that look on the carvings I've done. They look flat and non interesting when i finish them. Give a Bat a Home! It's all done with a rattle can, I mask off the outside with the blue painters tape. I have a rattle can of walnut stain, put it on thick wipe off with rag leaving more in the corners of the craving. Then another rattle can of high gloss poly, with a light sanding between coats.